A bundle of 7 different theme geoboard task cards. 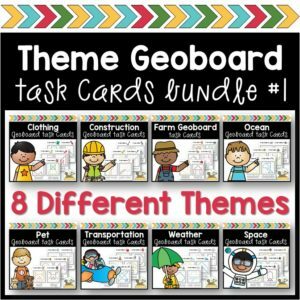 One set per theme: Clothing, Construction, Farm, Ocean, Pet, Transportation, and Weather. 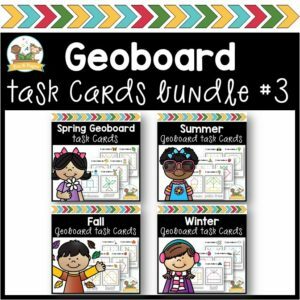 A bundle of 4 different geoboard task cards, one set for each of the 4 seasons, spring, summer, winter, and fall. Kids love learning shapes with geoboards! 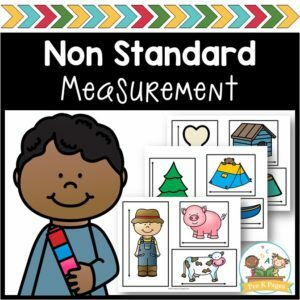 197 pages of math measurement activities to help your students meet early learning standards all year long. Make learning how to measure fun! 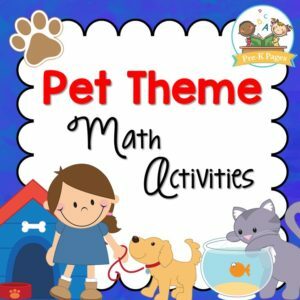 82 pages of pet theme math activities to help your preschool, pre-k, or kindergarten students develop strong number sense skills. Question of the Day: Would you rather? 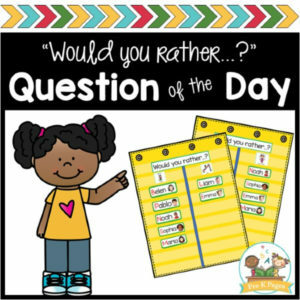 28 printable Question of the Day or Week graphing questions for your preschool, pre-k, or kindergarten classroom. 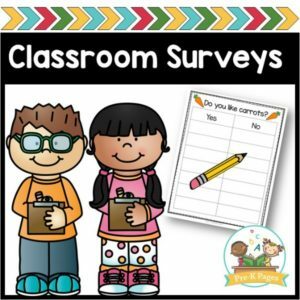 56 pages of printable surveys to help your Preschool or Pre-K students develop math skills and motivation to write for a purpose! 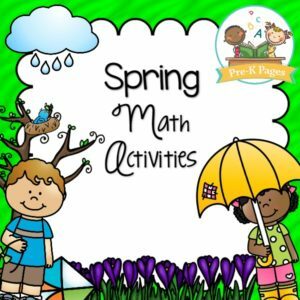 57 pages of fun, hands-on spring theme math activities to help your Preschool, Pre-K, or Kindergarten students meet early learning standards. 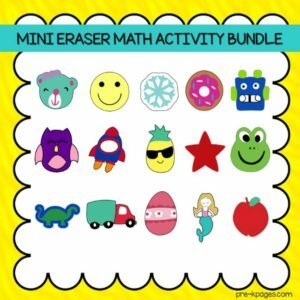 200 pages of mini eraser math activities to help your students build number sense skills. Hands-on counting, patterning, graphing, and sorting practice! 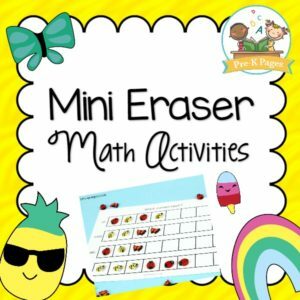 12 printable pages of mini eraser math activities to develop and practice sorting, counting, patterning, and graphing skills. 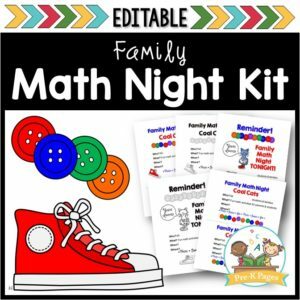 Host a Family Math Night for your Pre-K or Preschool classroom with these printables and step-by-step instructions designed to help you save time. 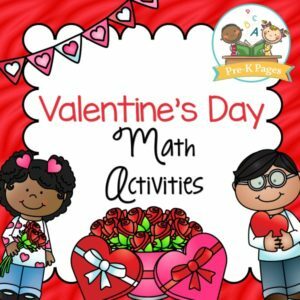 63 pages of fun, hands-on Valentine’s Day themed math activities to help your Preschool, Pre-K, or Kindergarten students meet early learning standards. 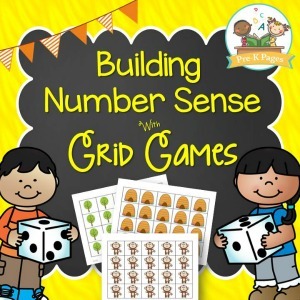 Grid Games are a fun and playful way to work on developing one-to-one correspondence skills for preschoolers or kindergarten kids. 20 different games to go with many common seasons, early childhood themes, and holidays. 95 pages of nursery rhyme fun! 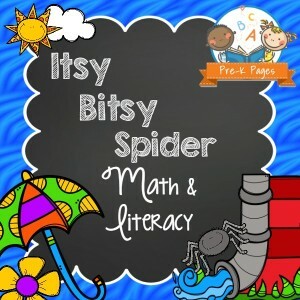 Itsy Bitsy Spider themed literacy and math activities that will help your students build a solid foundation for future success. 92 pages of nursery rhyme fun! 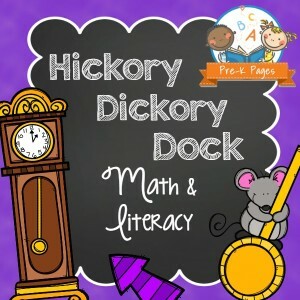 Hickory Dickory Dock themed literacy and math activities that will help your students build a solid foundation for future success. 91 pages of nursery rhyme fun! 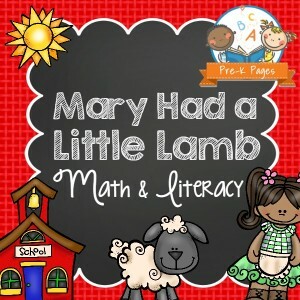 Mary Had a Little Lamb themed literacy and math activities that will help your students build a solid foundation for future success. 92 pages of nursery rhyme fun! 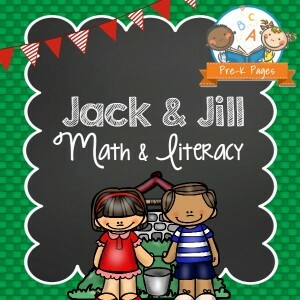 Jack and Jill themed literacy and math activities that will help your students build a solid foundation for future success. 93 pages of nursery rhyme fun! Little Miss Muffet themed literacy and math activities to help your students meet academic standards. 93 pages of nursery rhyme fun! 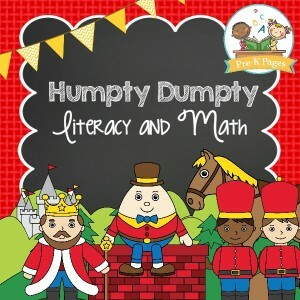 Humpty Dumpty themed literacy and math activities to prepare your students for meeting academic standards. 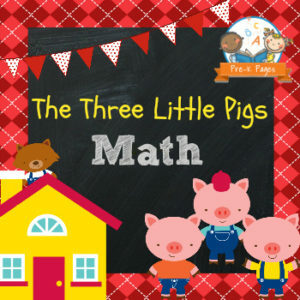 45 pages of fun, hands-on Three Little Pig themed math activities to help your pre-k and kindergarten students meet early learning standards. 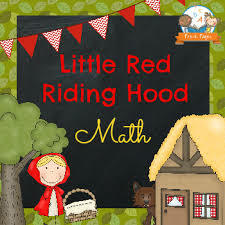 42 pages of fun, hands-on Little Red Riding Hood themed math activities to prepare your preschool, pre-k, or kindergarten students to meet early learning standards. 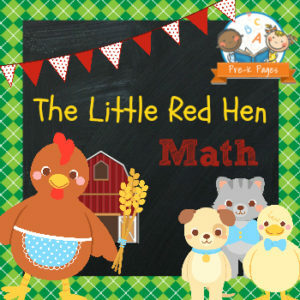 43 pages of fun, hands-on Little Red Hen themed math activities to prepare your students to meet early learning standards. 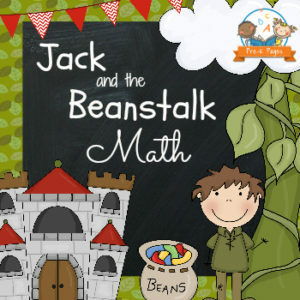 42 pages of fun, hands-on Jack and the Beanstalk themed math activities to help your preschool, pre-k, and kindergarten students meet early learning standards. 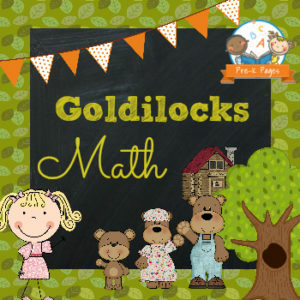 43 pages of fun, hands-on Goldilocks themed math activities to help your preschool, pre-k, and kindergarten students meet early learning standards. 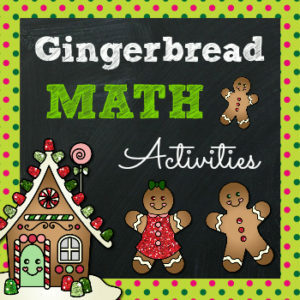 9 fun, hands-on Gingerbread Math activities. These small group activities will help your preschool, pre-k, and kindergarten students meet early learning standards. 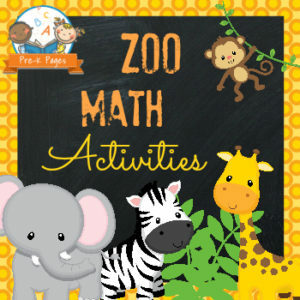 43 pages of fun, hands-on zoo math activities to help your students meet early learning standards. 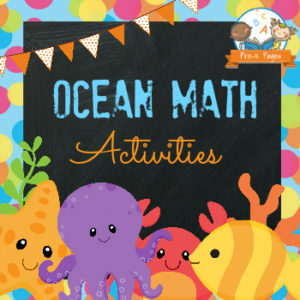 47 pages of fun, hands-on winter math activities to help your Preschool, Pre-K or Kindergarten students meet early learning standards. 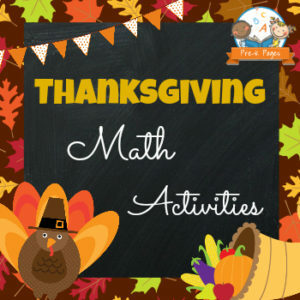 53 pages of fun, hands-on Thanksgiving math activities to prepare your preschool, pre-k or kindergarten students meet early learning standards. 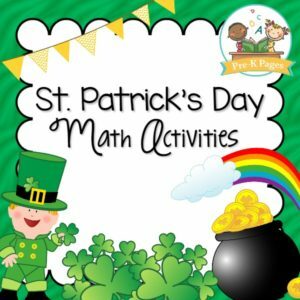 60 pages of fun, hands-on St. Patrick’s Day math activities to help your pre-k and kindergarten students meet early learning standards. 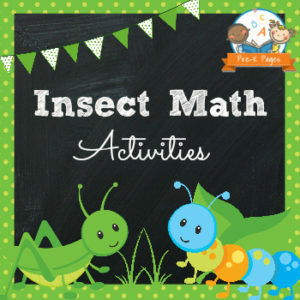 42 pages of fun, hands-on insect math activities to help your preschool, pre-k, and kindergarten students meet early learning standards. 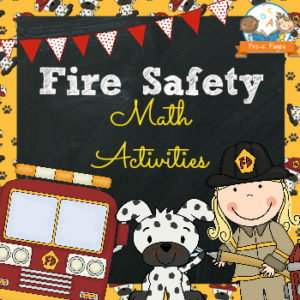 43 pages of fun, hands-on fire safety math activities to help your Preschool, Pre-K, or Kindergarten students meet academic standards. 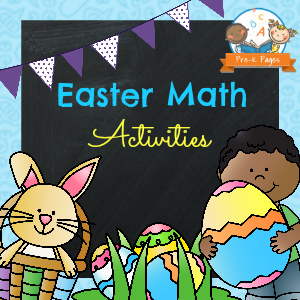 52 pages of fun, hands-on Easter themed math activities to help your Preschool, Pre-K, or Kindergarten students meet early learning standards. 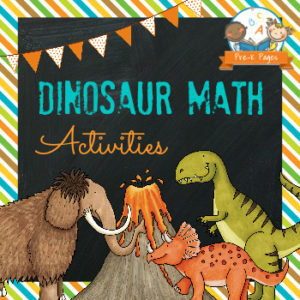 43 pages of fun, hands-on dinosaur themed math activities to help your Preschool, Pre-K, or Kindergarten students meet early learning standards. 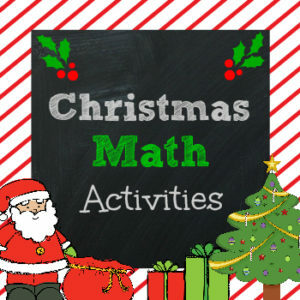 57 pages of fun, hands-on Christmas math activities. Small group activities to help your Preschool, Pre-K, or Kindergarten students meet early learning standards.